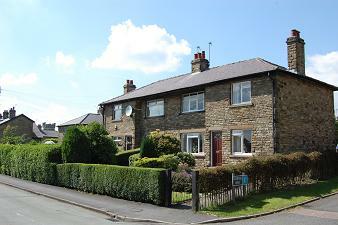 This group of streets is of stout terraces and semi-detached houses some built in post WWII Kerridge stone others of 1920s rendered brick. 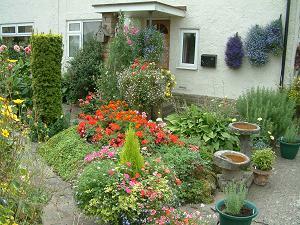 Many have delightful gardens. 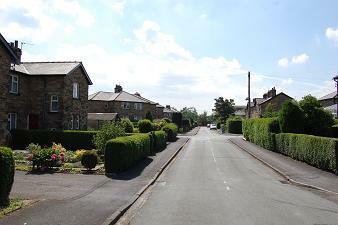 Greenfield Road leads to Swanscoe Avenue, Charter Road, Hollin Road, Dawson Road, Grimshaw Avenue, Endon Avenue and Barbor Place. The road continues along a short piece of road known locally as White Road, but which is actually the end of Oak Lane, Kerridge, to the canalside properties at Beehive, adjacent to Macclesfield Canal bridge 28. 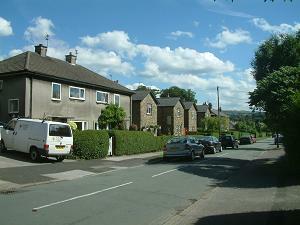 Nearest shop – corner shop at the start of the street, on the corner with Grimshaw Lane (see below). September 2018: See CEC development proposals . 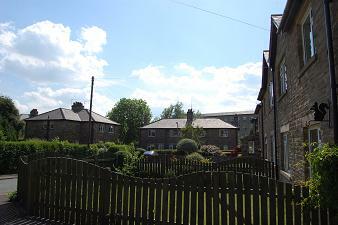 There are two outstanding gardens at the far end of the street, opposite each other at numbers 23 and 24. 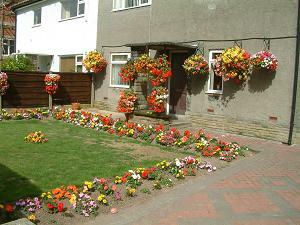 These have been regularly recognised by the Civic Society‘s Bollington in Bloom competition. 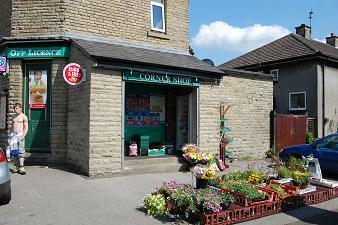 The very popular Corner Shop at the junction with Grimshaw Lane.